Wild sweet potato vines thrive as produce in a garden and in the wild, with invasive drought-resistant vines that grow up to 30 feet long. These vines bloom big purple and white flowers in spring season that can be up to 6 inches wide. 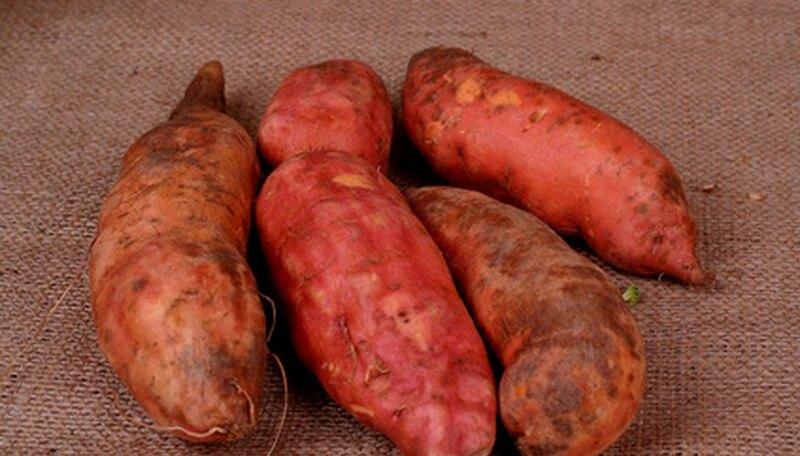 Since sweet potatoes can grow in almost any condition or type of soil, it is almost classified as a weed. If you want to get rid of these vines, it will take some time and manual labor, but it can be done. Determine the location of all the existing wild sweet potato vines. Follow the vines to find where they end and where the bulk of the plant begins. Use the pruning shears or scissors (depending on how thick the vine is) to cut the vine off 1 inch from the ground. Sprinkle a handful of salt on the cut area. Apply the herbicide the remaining bulk section of the vine until it is soaking wet. Continue to apply the herbicide around the plant area in the soil, about 5 inches from the base of the sweet potato vine. Discard the cut-off vine pieces into the trash. Examine the cut vine stubs in the ground to see if they have died a week later. If it looks like the vines have started to grow again or look alive, cut them off again and apply the salt and herbicide a second time. Does Passion Fruit Grow on Trees?